Being a lawyer is a respectable profession, but it is not a job for everyone. More than just thinking about how much money you can make and that title you get to add to your name, you have to be sure that you have what it takes. Consider these following things before applying for law school. To be a lawyer you would have to spend more years studying. Before even being able to go, you still need to qualify for law school, taking the LSATs and applying for a spot. Once you finally get in, you will need to prepare yourself for a full load of studies, tests, and a lot of things you have to read and memorize. Regarding cost, not only will you have to pay for your studies, but the workload will also make it difficult for you to work and study at the same time. Another option is to take on a loan, which you will be able to pay off when you find work as a lawyer. If you find a position in a big law firm, you will earn a lot more than other professionals. Law students are trained rigorously so that they will be exposed to the pressure that they will have to live with in the future. 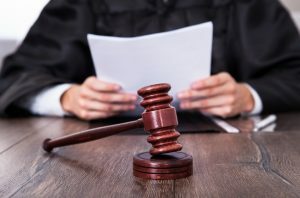 As lawyers, their performance on and off the court can drastically alter their client’s life, which is why they have to prepare their cases well and present it in a way that will persuade the jury or the judge. Lawyers also have to be good with words and public speaking, and comfortable with presenting in front of the public. Moreover, they have to have powers to sway the jury to their argument. While some people are born with this talent, many can gain the confidence and practice enough to do very well in court. There are also lawyers that spend less time in court but still need to be good with words. Corporate lawyers have to draft contracts and agreements where the right wording is vital. If you are good at speaking and writing, then you can consider yourself a good candidate for the legal profession. When presented a case, you have to be able to pull the details apart and critically examine every evidence to conceive the most logical explanation. Without the capability for reasoning and critical thinking, you will find it hard to succeed as a lawyer. Even if you are simply drafting contracts or deals, you need to cover every possibility to come up with a contract that is as airtight as possible. In law school, you will get a taste of how your life as a lawyer will be. You will either need to be available to your clients even in the wee hours of the night, or you will spend long hours reviewing cases and preparing your case. Wearing a suit is not only done to build your confidence, but also to give off a respectable presence in front of your clients and in front of the jury. But beyond looking the part, you need to be able to command respect. This is important in gaining new clients, which brings in more business for the law firm. As with any other profession, you should contemplate if it is for you before taking the first step in this direction. Otherwise, you will waste time, money and a lot of effort to realize in the end that you are not cut out for this. This is why you should consider these things to decide if you really are meant to be a lawyer in the future.